Woman Rejected by Airline Decides to Start Her Own Airline -- And Does! First, she formed her company and gave it the name of SRS Aviation. Then, she bid and won a contract for cargo transport issued by the South African government and formed a partnership with MCC Aviation - a South African-based fixed & rotor wing charter operator. 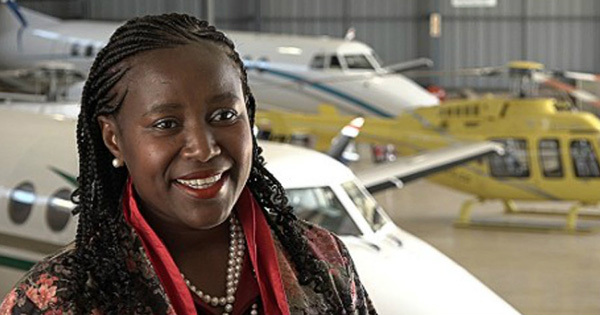 Finally, she sold her car and cashed out her mother’s pension to help her obtain an Air Operating Certificate from the South African Civil Aviation Authority (CAA). It wasn't an easy process, but she was able to raise the needed capital and make it work! Now, Sambo's company offers their clients professional and personalized flight options to destinations in Africa and around the world. Their services include VIP charters, tourist charters, cargo charters, game count & capture, and helicopter services. Her customers pay anywhere from $1,000 USD to $200,000 USD per flight. Sambo's vision is to be the number one choice in affordable air service solutions for individuals and businesses, locally and worldwide, by providing an unparalleled air service. She also aims to uphold the highest safety standards. When it comes to giving back to her local community, she is also very passionate about helping young people by sharing her knowledge and expertise. During a recent interview with CNN, she commented, "I'm where I am today because somebody invested in me. It’s my opportunity now to invest in other people."